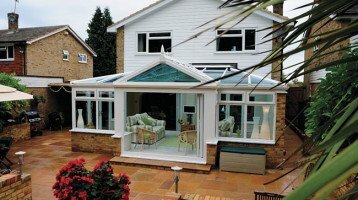 Conservatory Planning Permission -Have the rules changed? Looking for Conservatory Planning Permission advice ? The current “improve don’t move” message has been heard more recently with the recent relaxation of planning laws announced by the Coalition Government. But does that make things any clearer for Conservatory Planning Permission needs? Many people are keen to extend their current home in some way. Everybody would like more space! Perhaps to you have a growing family or need a valuable extra room or home study. Most people would like a larger home but the current housing market may make it hard to upsize or move house. The recent changes in planning rules thankfully now make extending your home easier. 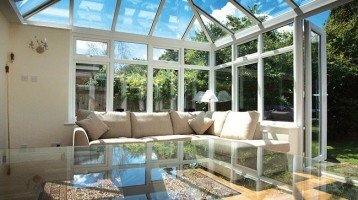 Conservatory Planning Permission – is it Required For A Conservatory? Recently it has been announced that planning regulations for home owners have been relaxed to allow for larger home extensions to be carried out without seeking any sort of planning permission. Planning permission is no longer needed for any home extension under 8 metres. That is a very large space to extend a home by and this gives home owners a lot more freedom when deciding on adding a conservatory to their home. One of the easiest ways of adding space to your home is with the addition of a Glazed Extension, a Conservatory or an Orangery. Cheam Windows offer a host of solutions for those wishing to extend their kitchen, living room or add an extension to the back of their property. Our glazed roofs are available in either Aluminium or Aluminium clad PVC-u in many designs and to suit most budgets. What you might not also know is that modern glazing today can even save money on your energy bills. Extend and improve your home with a Cheam Windows Glazed Extension, Conservatory or Orangery. This will transform your existing house without the cost involved in moving house. A Cheam Windows Glazed Extension and Conservatory could add valuable living space to your home. It will flood natural light into some of your favourite family rooms in the house. With the right choice of glazing materials you can also save money on energy bills. 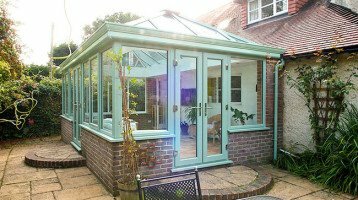 All our Conservatories are designed and built around your needs and you can choose from a wide choice of colours. You can add Bi-folding Doors, Sliding Doors, French Doors and windows to give you the perfect finish. You can ask for a free design consultation to give you ideas, or just tell us what you want. Orangeries and Glazed Extensions – why move, when you can improve?